Very excited to announce the second installment of our Downtown Cranford Movie Series  at the Cranford Theater! We’re all looking forward to enjoying the Spring weather, so we figured what better way to get back out there than with some classic sports movies! 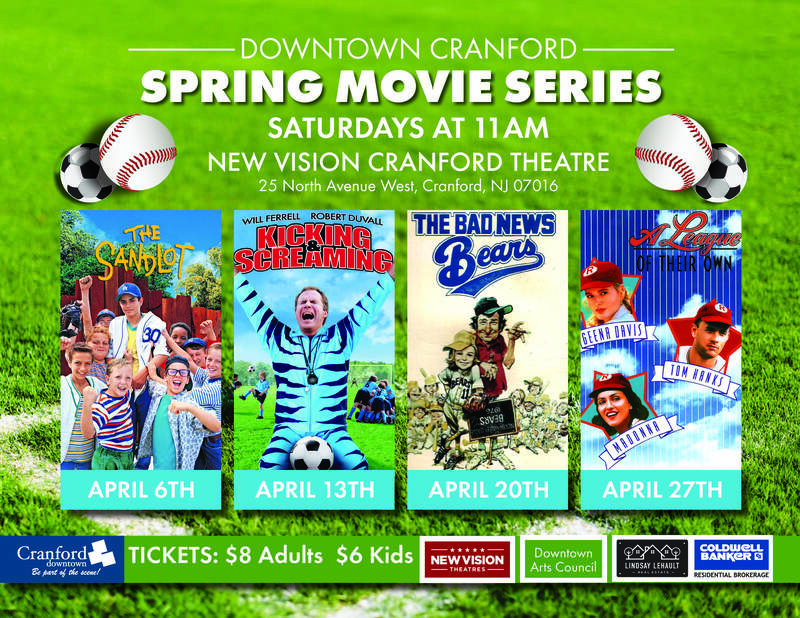 ⚾️ ⚽️ Saturdays in April check out The Sandlot (the 6th), Kicking and Screaming (the 13th), The Bad News Bears (the 20th), and one of my favorites, A League of their Own (the 27th). All movies start at 11am. Tickets  are $8 for adults and $6 for kids. Stay tuned for our ticket giveaway coming next week!